We have a number of new vacancies in our Bradford TLG Head Office. 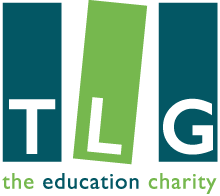 We are seeking a confident and passionate administrator to support TLG’s National Development team! The post-holder will provide excellent service to supporters, brilliant organisation skills and have a drive to see TLG’s work grow in this significant area of fundraising. Applications close Sunday 16th September 2018.